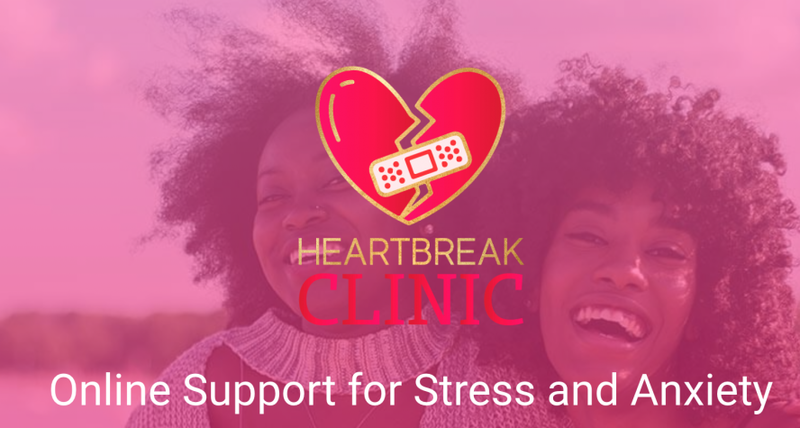 CHARLOTTE, N.C. - Dec. 21, 2018 - PRLog -- La'Toya Hart, Creator of the Heartbreak Clinic, is proud to announce today the official launch of the Heartbreak Clinic Online Support For Stress & Anxiety Facebook group, which is an extension of the eponymous tight-knit website community comprised of women looking to recover from stress and anxiety. "The Heartbreak Clinic Online Support For Stress & Anxiety Facebook group was founded with the intention of creating a safe online space where Heartbreak Clinic community members can socialize, draw inspiration, and support each other as they go through with the trials and tribulations that come with dealing with stress and anxiety," said Ms. Hart. "With the new year approaching fast, many of us vow to make new beginnings, and that often includes facing our fears head-on. We welcome all women who are ready to free themselves from stress and anxiety to overcome their apprehension, break their silence, and join the positive and welcoming tribe of like-minded ladies of the Heartbreak Clinic Online Support For Stress & Anxiety Facebook group, with just a few clicks of their mouse." In addition to the Heartbreak Clinic Online Support For Stress & Anxiety Facebook group, as well as the Heartbreak Clinic website, Heartbreak Clinic further runs a dedicated Facebook page which is frequently updates with the addition of informative posts on various means on dealing with stress and anxiety; inspirational quotes; informative videos, and heartwarming stories which showcase the tremendous strength and determination of women across the globe who have succeeded in living their lives free from the shackles of these two plaguing ailments. To learn more about Heartbreak Clinic, please visit www.heartbreakclinic.org.